Drop — Does Drop Scale come with a warranty? Drop Scales purchased from authorized resellers are offered a warranty that your Drop Scale shall be free from defects in materials and workmanship under normal use from one year from the date of purchase. If the purchase was made within the European Economic Area (EEA), the warranty period is a full two years from the date of purchase. 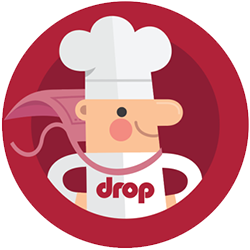 We want Drop Scale to provide you with nothing but hassle-free operation, resulting in (literally) mountains of delicious home-prepared treats. If you feel that Drop Scale delivers anything short of this, or if you believe your device to be defective, please contact the dedicated Drop Support Team for a copy of the full warranty and we will do everything we can to get you back in the kitchen in no time.